Making sure that you have the right calculator is an incredibly important task. If you are taking a course or entering a job that requires an effective calculator, you’ll also understand that the reasons that set certain calculators apart from the competition are incredibly nuanced and are sometimes difficult to pin down easily. Some calculators are made for specific operations, while others are more versatile and able to suit a number of different circumstances. No matter which calculator you search for, though, you’ll also have to take into account the overall design. Many calculators are built for specific purposes, but if they don’t have a proper design, they won’t be effective overall. Both the design of the buttons and the durability of the shell that holds the calculator are important for determining the success of the device. Some calculators are also known for having more advanced screens, while others are specifically built for more traditional purposes and are not meant to have screens comparable to small computers. Another thing that you should keep in mind is the way in which the calculator is charged and how long the charge lasts. Depending on the situation in which you’ll need to be using the calculator, some might be more convenient than others. For example, if a calculator is powered by a rechargeable battery that has a long charge, it might be more convenient to use that one as opposed to another model that might be charged on disposable batteries that aren’t as sustainable. Can you use these calculators on the ACT/SAT/AP tests? Does each calculator come with any warranty? Do I need batteries for these calculators? Which calculator is better for statistics? Are the screens of these calculators backlit? Does the software come with these calculators? At first each one is a great graphing calculator. The TI-Nspire is a more versatile and modern calculator that provides users with more flexibility and sustainability overall. This is because the TI-Nspire is made for a variety of operations that can fit many different types of math, such as being able to design, program, and save files easily within the operating system. On the other hand, the TI-89 is more directed towards traditional mathematical functions, making it a calculator that can adapt to more situations. The programming of both of these calculators is pretty exceptional and does exactly what they purport to do, most of the time even exceeding expectations. Whether or not you’ll prefer the programming of the TI-Nspire or the TI-89 depends on what exactly you’re trying to do with it. For example, if you’re planning on using your calculator for electrical engineering, then you’ll want to stick with the TI-89, as the TI-Nspire does not support that capability. However, this is the only thing that the TI-89 does that the TI-Nspire cannot do. 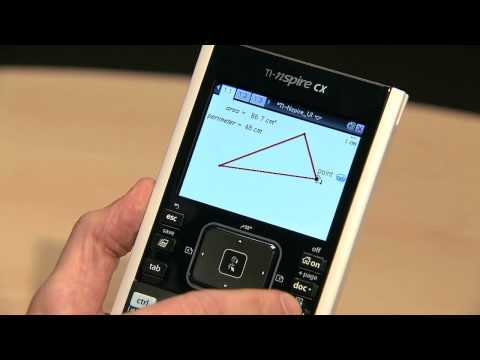 As a calculator, the TI-Nspire is therefore more flexible, allowing you to do more things in terms of programming. 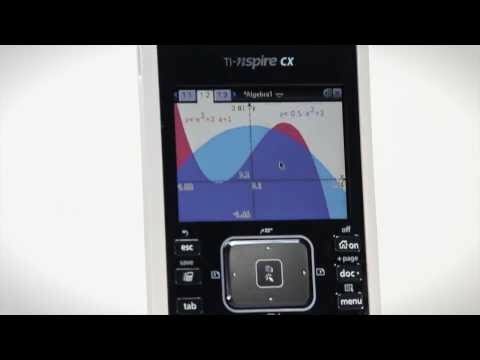 Though the two calculators share many features, the TI-Nspire acts more like a modern-day computer, allowing you to save and store files with an easy-to-use interface. Another advantage that the TI-Nspire has over the TI-89, though, is that it lets you incorporate real photos and graphs into your calculations. This makes it possible for you to juxtapose your graphs with real-world examples in real time, something that makes it a much more practical calculator to use for situations in which you’ll need to be focused and continually checking your problems against real-world comparisons. That being said, the TI-89 also has a lot of flexibility for programming and storing your own equations with an interface that can even allow for the designing of games to be implemented. This can be useful for applying your equations and problems to more interactive situations, something that can be a great tool for more effective learning. Which is better? 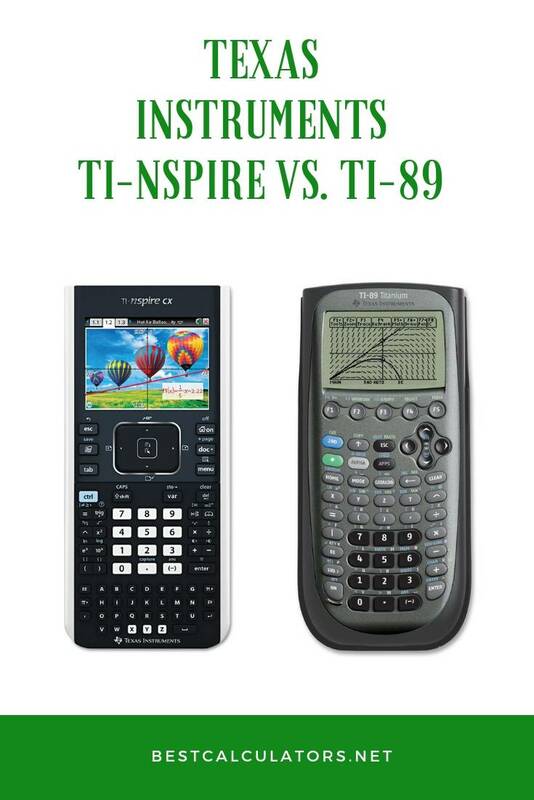 The TI-Nspire has more features that are presented more clearly than the TI-89. The overall programming is more intuitive and accessible, but it should be noted that effective programming for electrical engineering is exclusive to the TI-89, making that the ideal calculator if that is the field you are looking to get into. Though both products appear to have very similar designs, it is important to note that the TI-Nspire has a more efficient physical design. This can immediately be seen with the buttons — the buttons on the TI-Nspire are smaller and therefore require less of a push in order to register. This is much different than the buttons on the TI-89 that must be pressed more firmly to be registered. Depending on which feels more comfortable in your fingers, you might have a preference for either of the calculators, but the TI-Nspire’s design is much more modern. Another notable aspect of the TI-Nspire’s design is the keyboard that is below the number pads. The keyboard makes it very easy to type letters, something that is more difficult on the cellphone-like keypads that are used on the TI-89. Beyond the keyboard, the TI-Nspire’s buttons are also more intuitive overall in terms of the functions that can be applied, as they are more easily accessible. The clicker wheel at the top of the TI-Nspire also makes it easier to scroll through files and material, something that the TI-89 does not do as well. However, it should be noted that if you’re working mainly with the number keys and not doing equations that require a large number of letters, then fiddling with the smaller middle buttons of the TI-Nspire might not be practical, making the TI-89 a more logical choice of calculator. The screen of the TI-Nspire is also color as opposed to the black and white screen of the TI-89, something that allows you to have more detailed and varied images with your equations. This is what we believe makes the TI-Nspire more modern, as its screen does not feel as dated overall. It should be noted, though, that both calculators have very impressive designs that allow them to withstand significant wear before breaking. They also both come with great case covers that allow you to protect your calculator no matter what, something that increases the durability of both devices. Which is better? Both calculators have durable designs that make it easy to protect them, but those not looking to use buttons outside of the numbers should spring for the TI-89 because of the size and proximity of the number buttons. However, if you’re looking to use the calculator more like a computer with file-saving and more elaborate, letter-based equations, the TI-Nspire has a larger variety of buttons. Another thing that the TI-Nspire has that the TI-89 does not have is a very modern design, screen, and storage system that makes it more comfortable and feels more like a computer than a calculator. We believe that the TI-Nspire feels more modern and accessible overall, something that makes it the better calculator in our eyes for this purpose. When comparing the two calculators, it is immediately noticeable that the TI-Nspire has 100MB of data, while the TI-89 only has 2.7ROM and 188K RAM. This is a testament to the power of the TI-Nspire because of how it can use this memory to input, process, and store more data. It can also run more processes at the same time, something that can’t be done as easily with the TI-89. The screens also have different framerates, with the TI-Nspire being capable of more vivid motion and images than the TI-89. Those who are looking for a calculator that provides a clearer view will prefer the TI-Nspire for its more modern screen, while those who are in the market for a more traditional-looking calculator will be drawn to the TI-89 with its 100 x 160 pixel display. It should be noted, though, that the TI-89 is compatible with various CBL and CBR motion sensors, making it especially receptive and intuitive to use with related motion-based programs. Which is better? The TI-89 has the memory and overall specs of a more traditional calculator, while the TI-Nspire is much more geared towards modern audiences that want to think of their calculator as more of a computer. How long your calculator will last depends on how much you intend to use it. Whereas the TI-Nspire comes with a rechargeable battery that can last for 2 weeks at a time when fully charged, the TI-89 runs on 3 AAA batteries that do not last as long, most of the time lasting only a bit over a week after intense usage. However, if you don’t use your calculator that frequently, you can get sufficient use out of the TI-89. Because of the calculator not coming with a rechargeable battery, though, the overall power is not ideal. Which is better? The TI-Nspire has the better battery overall primarily because of how quickly it takes to recharge it and how the rechargeable battery can last for 2 weeks at a time. In contrast, though, the TI-89 can be brought to full charge immediately by replacing the AAA batteries, but this creates more trash overall. We think the TI-Nspire is more efficient than the TI-89, making it a better option for battery charge. 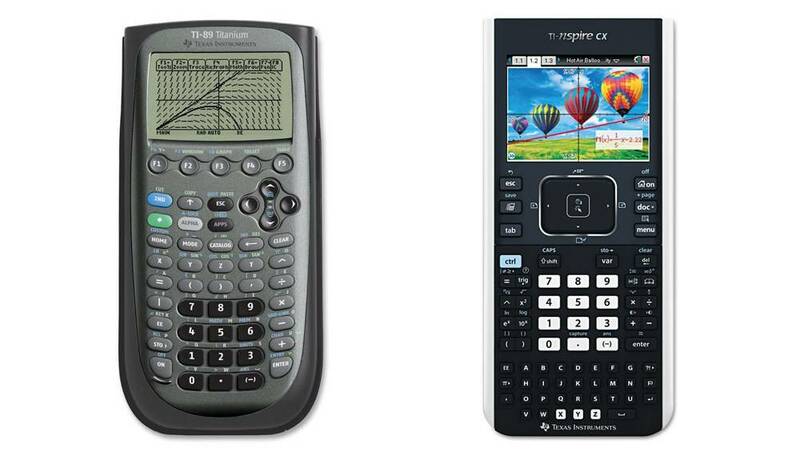 Both calculators are almost identical in price, with the TI-Nspire being $139.96 and the TI-89 being $133.99. The former is sometimes listed as $30 higher at its original retail price, though, making it more noticeably expensive than the TI-89. Which is better? Because they’re nearly identical in price range, it’s important to note that the TI-Nspire is overall the better value of the two calculators. The only situation in which we can see the TI-89 being a better choice for you is if you’re specifically focused on finding a calculator for electrical engineering. Both the TI-Nspire and the TI-89 are permissible on all of the aforementioned tests, as well as other standardized, state-given tests. That being said, it’s important to verify online with the specific regulations of the test you’re about to take to ensure that you are able to use your preferred calculator. Yes! Because both products are from Texas Instruments, they each come with a one-year warranty. This allows almost anything to happen to your product with the guarantee that it can be replaced in the event when something goes awry. This is a great aspect of both of these products! For the TI-Nspire, no: it comes with a rechargeable battery that lasts for up to two weeks per full charge. If you’re getting the TI-89, though, you should be prepared to keep at least 3 AAA batteries on you at all times, as that is what it runs on. If you’re enrolling in a statistics course and need a recommendation for a calculator to use, we recommend the TI-Nspire. This is because there are more opportunities for you to compare your work with real-life examples and include a wider variety of graphs in your data. The screen for the TI-Nspire is entirely backlit, while the TI-89’s screen is not. Software does come with both of these calculators, but if you want more additions you should be prepared to seek it out yourself. Thankfully, though, more additions can be easily found on the TI website.